Welcome to our Members Page. Here we will showcase some of our athletes and their accomplishments. Our Senior Spotlight features our graduating seniors and recognizes their accomplishments and some of their future plans. Gymnast Ravenna “Rev” Bala is a senior at Wickliffe High School in Wickliffe. She started her gymnastics career as a young child at LakeShore PREPS, then at The YMCA in Willoughby before she joined AAGA. She has been with AAGA for nine years. Ravenna competes on all four events, but her favorite is balance beam. 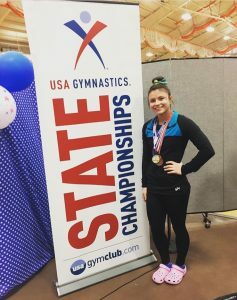 Ravenna has had many accomplishments in her career as a Level 9 gymnast. 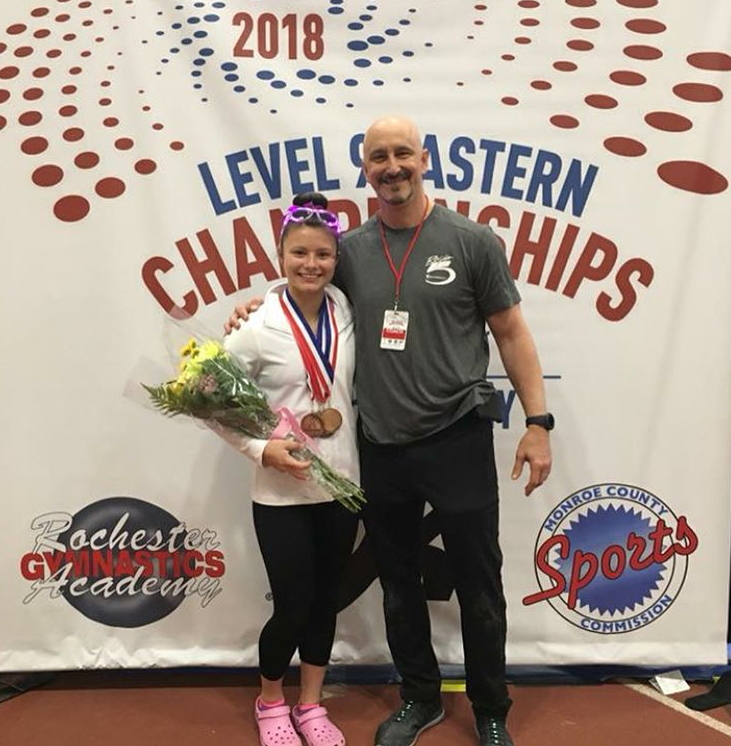 She was a Level 9 Eastern National Team Member in 2018 and 2017. She is the Level 9 All-Around Regional and State Champion of 2018. In 2016 she was the All-Around State Champion and in 2015 she was the Level 9 Beam State Champion. Ravenna has prepared herself for college by taking a very challenging high school curriculum, such as Honors and Advanced Placement courses and maintains a 4.1 GPA. These classes not only assisted her in admission to college but have also helped her to develop strong study skills and time management. Ravenna was offered a scholarship and will be taking part of National Signing Day in November. She will verbally commit to Hawaii Pacific University in Honolulu, HI majoring in Pre-Health. 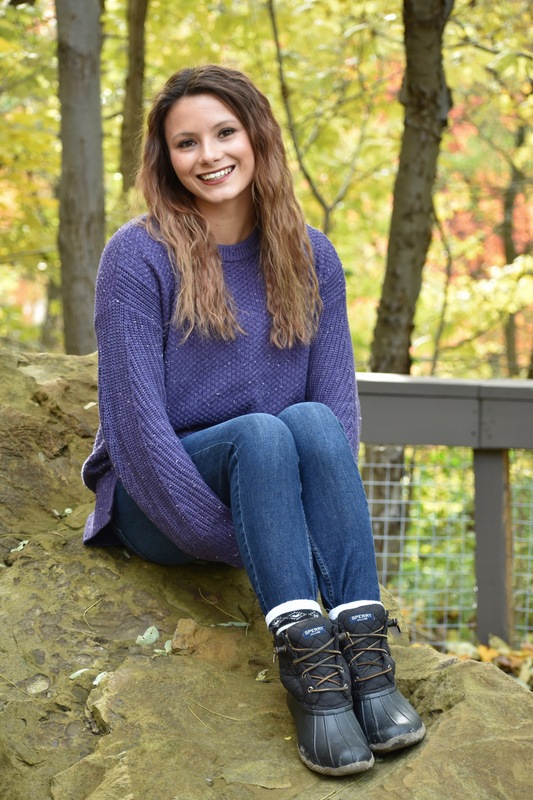 While attending college, she has two goals; one is to be on the Acrobatics & Tumbling Team and two, her ultimate goal, is to get her degree and become a Physical Therapist concentrating on high-level athletes. Ravenna has little free time but when she does, she enjoys movies and going shopping. All of our champions from our Junior Olympic, Xcel, Trampoline & Tumbling and former TOPS program throughout the years!